You are here: Home » How much do you really love bacon? Bacon Wallet This is bacon-related merchandise I can really get behind. Bacon Lip Balm Mmm. Meaty. Bacon-Flavored Toothpaste And really, this one is a little nuts. But, I’m kinda glad that it exists. Okay, I’m hungry now – I’ll be back when I’ve had some bacon. 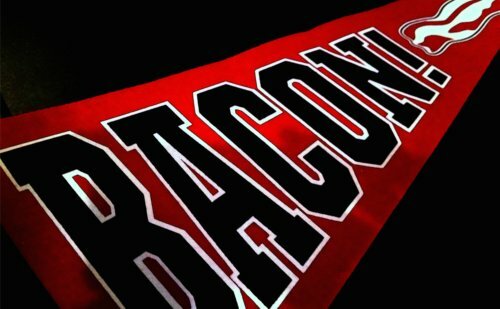 Have you been to the new restaurant in Austin called “Bacon”?? Not yet! I’d love to go, too! They even have fake bacon products for veggies like P.J. I’m in! I now have a crush on your company! That was hilarious! And yay bacon!